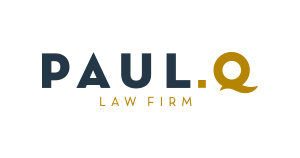 Paul Q Recognized in 2018 Edition of "Law Firm of the Year"
Pavol Blahušiak practices in the areas of business law, foreign direct investments, mergers and acquisitions, and civil law. In particular, he focuses on the advertising, media and intellectual property-related law. He represents advertising agencies, broadcasters, buyers of advertising time and publishing houses, as well as associations uniting these subjects. 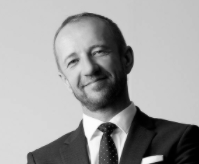 He graduated from the Comenius University Faculty of Law at Bratislava in 1992. He is a member of the Arbitration Commission of the Advertising Board. He has prepared a number of legal analyses and contracts in the area of marketing communication and is the author of several papers published in specialized periodicals. He is also the co-author of many specialized publications. He acts as a guest in various educational radio and TV broadcasts, as well as in other media. He contributes actively to the law drafting process. As an expert consultant, he takes part in the sessions of the Parliamentary Committee for Culture and Media. He has also been engaged as a lecturer in seminars and legal training courses organized for both professional and non-professional interested public. He participated at seminars on the media law held in Washington D.C., and Toronto, Canada. He also took part in the seminars focused on business and management, which included also motivation and communication related issues.